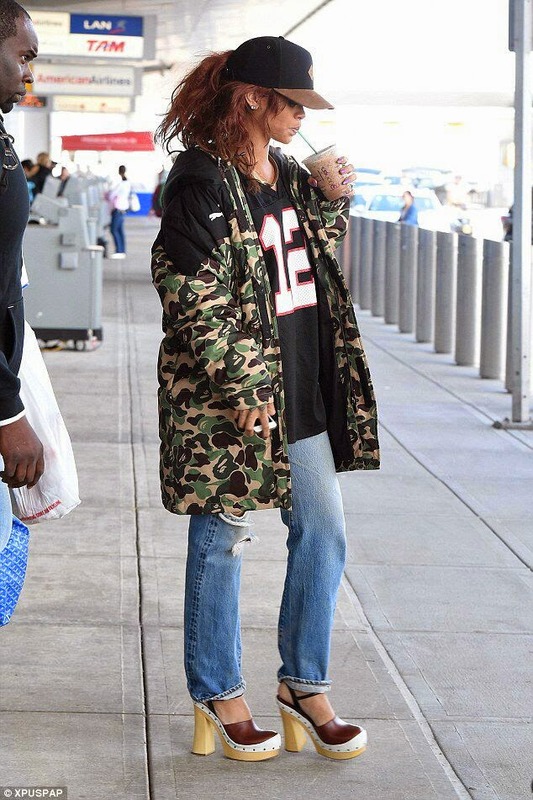 CHECHESMITHNATION : Riri Slays In Just About Anything. Riri, was spotted at the JFK airport looking all happy and smily, just two days after making her official first appearance at the Puma brand newest Ad. She was wearing a jersey bearing number 12, that she covered with this heavy camouflage puma jacket. She paired her look with a faded ripped jeans, a vintage platform heels and a trendy puma cap.